Resident's in Choctaw, OK are in the middle of the pack with a Choice Score of 5. You aren't going to have the fastest speeds or best availability in Oklahoma, but you could be much worse off. Choctaw, OK has a total of 20 Internet providers including 4 Cable providers, 1 Copper providers, 5 DSL providers, 9 Fiber providers, 6 Fixed Wireless providers, 1 Mobile providers and 2 Satellite providers. The table below shows the available plans and pricing for HughesNet in Choctaw, OK. The table below shows the available plans and pricing for Exede in Choctaw, OK. The table below shows the available plans and pricing for AT&T U-verse in Choctaw, OK. The table below shows the available plans and pricing for Cox Communications in Choctaw, OK. The table below shows the available plans and pricing for Suddenlink Communications in Choctaw, OK. The table below shows the available plans and pricing for @AtLink in Choctaw, OK. The table below shows the available plans and pricing for Cross Telephone Company in Choctaw, OK. The table below shows the available plans and pricing for Pioneer Telephone Coop in Choctaw, OK. The table below shows the available plans and pricing for Vyve Broadband in Choctaw, OK. The average cost per month for internet in Choctaw, OK is $33.48. There are 20 internet providers in all of Choctaw, OK.
Choctaw, OK offers the highest speed of 1,000 mbps with Suddenlink Communications. 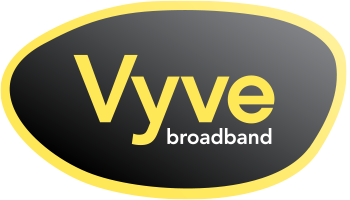 The lowest price for internet in Choctaw, OK is $25.00 with Vyve Broadband. Choctaw, OK is located within Oklahoma county.